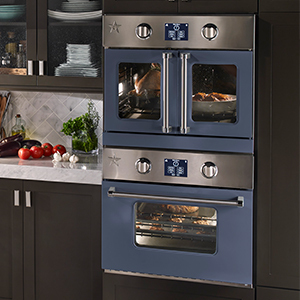 Since 1880, BlueStar cooking products and appliances have been handcrafted in Reading, Pennsylvania with commercial-grade materials. 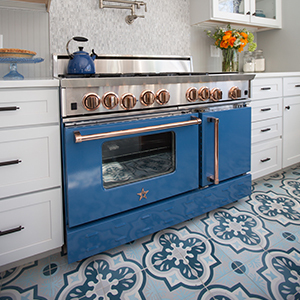 Constructed of superior-quality, commercial-grade stainless steel, BlueStar® products are built to last and designed to withstand the rigors of even the busiest home kitchens. These kitchen appliances are built with those home chefs, who are looking for restaurant quality results in their own kitchens, in mind. 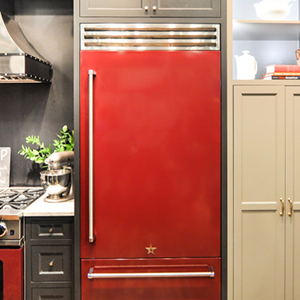 With BlueStar appliances, you can expect to get a professional cooking experience in your own home. BlueStar ovens features a full-extension oven rack with extra-large capacity to accommodate an 18 x 26 commercial baking sheet. Push-to-turn burner knobs with infinite settings provide the precise temperature control home chefs desire. The 25,000 BTU BURNER on the Platinum model delivers an intense 25,000 BTU flame perfect for achieving a rapid boil, high-heat sear or the perfect sauté. 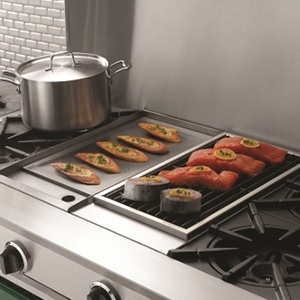 The Platinum model also offers a reversible grill or griddle.